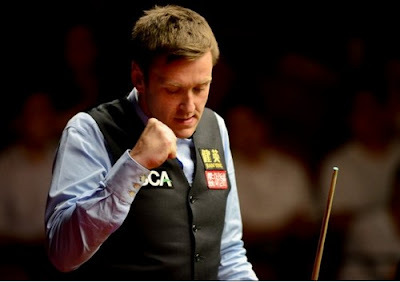 Wuxi Classic 2012: Ricky Walden won his second ranking title at Wuxi, China by beating Stuart Bingham 10-4 in the final. 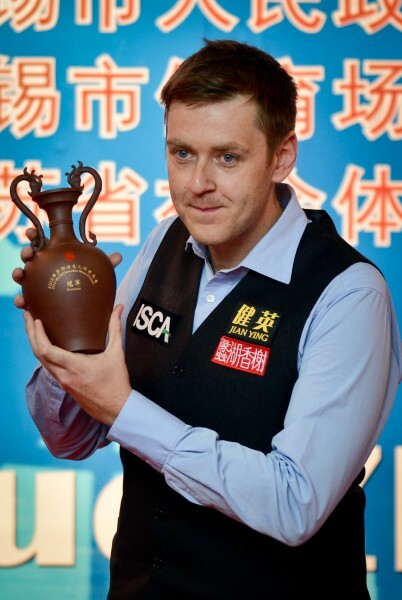 The man from Chester, as a player outside top 16 unexpectedly beaten Ronnie O'Sullivan in the final to win his first ranking title at Shanghai in 2008. Four years later, Walden repeated the myth again to win his second ranking title. He collected a cheque for 75000 pounds as prize money. Walden fought back from unfavourable situation in the first two frames of the final. He built up a healthy 4-0 lead over Bingham at mid interval session. The Ballrun, Stuart Bingham won his first frame in the final with a maximum break to trail 1-5. It was the third maximum of his career. He earned 7000 pounds for the break. 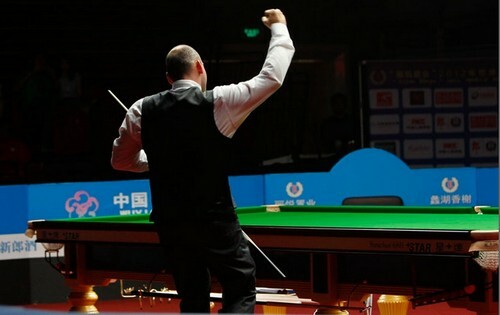 However, the maximum break did not help Bingham to raise his form. Instead, Walden extended his lead to 9-1 with 73 and 56, leaving only one frame away from victory. The Essex cueman did not give up, making 103 and 100 to reduce the deficit to 4-9. Walden held himself to win the title with a break of 74 in the 14th frame. Walden had a blinking start for the season. "I'm just looking forward to playing, I'm enjoying my snooker at the moment. It's such a full calendar that you know that if you have a bad result one week you can have a good go the next week and try to redeem the result. I've not got any targets, I just want to keep enjoying my snooker, travelling to as many tournaments as I can just play well, like I've started to this week." The runner-up, also winner of first APTC expressed his disappointment, "Obviously I'm a bit disappointed, I've had 15 or so unbeaten and today it just didn't happen. I think it was just a bad day at the office. Some consolation was the 147. It's always nice to make a 147, especially in a final. I've been told it's only the third one in a final so it's some history.'' Still, it is not bad for Bingham to start his road for defending his title of Australian Open next week.